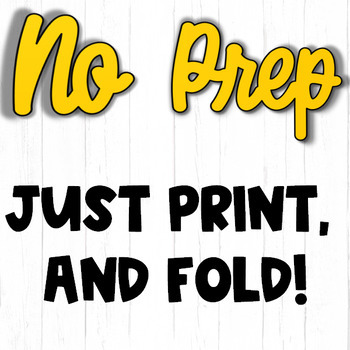 End of School Year Writing: Grab this NO-PREP end of grade writing activity! 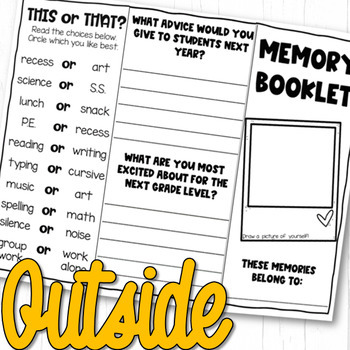 With these 2 worksheets printed front and back students create a fun informational brochure. 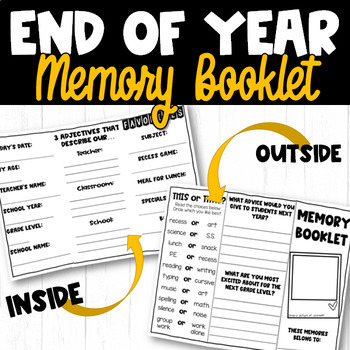 This is a perfect literacy activity for the end of the year! •What are your most proud of accomplishing this year? •What are you looking forward to next year? 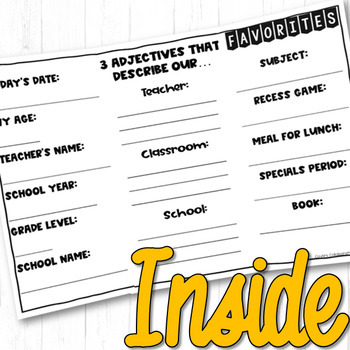 •What is your favorite memory from the school year? Why?